The world has seen real progress in reducing poverty over the last few decades. But the persistence of chronic extreme poverty, and the fact that has become most concentrated in sub-Saharan Africa, has prompted new research on the thorny topic. A new book, “The Economics of Poverty Traps,” co-edited by a Cornell agricultural and development economist, highlights cutting-edge research on the mechanisms that keep people entrenched in poverty. “The more we know about poverty traps, the better positioned we become to design resilience-building programs and policies to overcome them,” said co-editor Chris Barrett, the Stephen B. and Janice G. Ashley Professor of Applied Economics and Management, International Professor of Agriculture, and professor of economics. The book brings together a collection of studies – including two co-written by Barrett – on the processes that allow households to accumulate assets and increase their productivity, and the conditions under which some people and groups struggle to escape from chronic extreme poverty. The papers were first presented at a National Bureau for Economic Research conference in Washington, D.C., in June 2016. They’ll be discussed at a follow-up conference Dec. 6, also in Washington, at which Barrett will speak. Biophysical feedback loops in which environmental shocks, such as drought, undercut the natural resource system’s capacity to be productive. The book also contributes a new theoretical model, which Barrett and his co-editors – Michael Carter of the University of California, Davis, and Jean-Paul Chavas of the University of Wisconsin, Madison – describe in the introductory essay. The book also brings together new and important empirical studies on a range of different interventions in a variety of settings worldwide. Drawing on multiyear field research in Africa, Asia and Latin America, as well as historical data from the United States, chapters evaluate the impacts of a range of natural phenomena, such as droughts and tsunamis, and economic shocks including the 1997 Asian financial crisis. 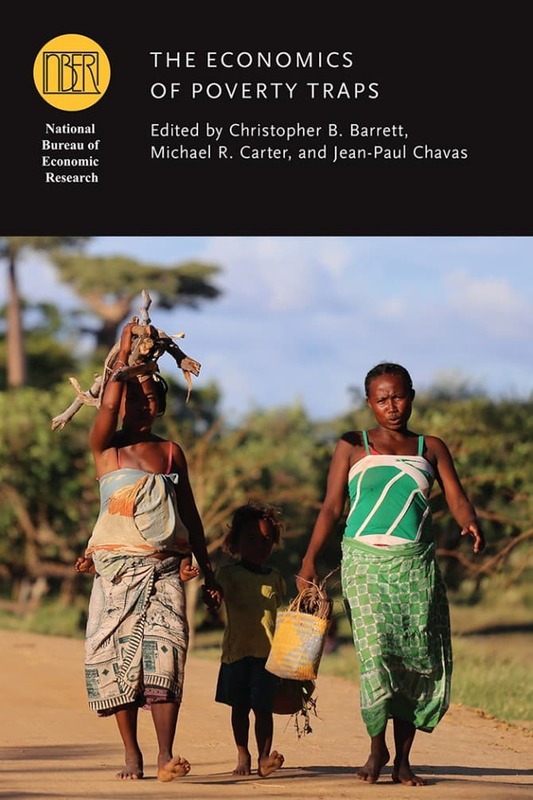 The chapters also assess the impacts of policy interventions such as cash transfers, physical asset transfers, microcredit and microinsurance, and attempts to build social networks and promote higher aspirations and hope among the poor. This article originally appeared in the Cornell Chronicle on December 4, 2018.